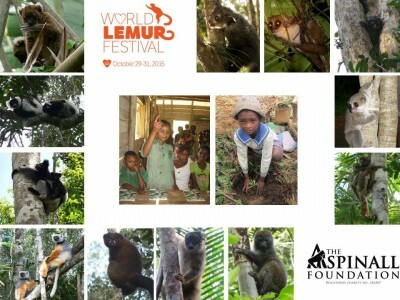 Held at the end of October, the 2nd annual World Lemur Festival raises awareness for lemur conservation, celebrates lemurs and Madagascar, and educates the public about why it’s important to protect them and their habitats in Madagascar. If there isn’t an event in your area, check out this blog post for ideas on how you can celebrate wherever you live! Hosting an event? Send us the info and we’ll add it to the calendar! Find events in Antananarivo, Tamatave, Parc Ivoloina, Sainte Luce Reserve, and Sahamalaza-Iles Radama National Park. at the Tahala Rarihasina, indoors and outdoors in front. Click to download the full schedule of events in Tamatave and at Parc Ivoloina! Drawing competitions involving students in CM1 and CM2 class will also be held, as well as storytelling competitions (tales, poems or theatre) revolving around lemurs and the relationship with their environment, completed by competitions in folk dances and songs. We will also distribute thematic school notebooks on lemurs during that time periods with a supplementary benefit. We will reward and encourage those who have passed the first official exam, CEPE, by giving them additional school supplies like pens, pencils and rules. CM2 class students will be provided with the same materials to help them better prepare the first formal review. The École Primaire Publique (EPP) Bemandotra was built and renovated thanks to the collaboration of The Aspinall Foundation with the association of the students’ parents (FRAM) of that village. The ceremony will take place Saturday, 31st October. And finally, last but not least, a ceremony for a natural resources management transfer to local communities – in the context of conservation of lemurs and their habitat – will be held on 20th October at Ambinanidilana, Marolambo. 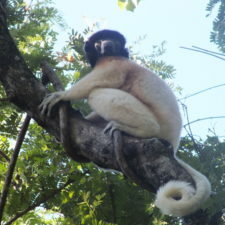 Lemur found at Sainte Luce Reserve. Photo via Sainte Luce’s Facebook page. Sainte Luce Reserve has invited 10 children from Ambandrika School for a day of fun exploring in the forest to celebrate the 2015 World Lemur Festival. The Sainte Luce Team will collect the children and two teachers at 0800 from the school and bring them to the reserve by pirogues. At the reserve, they will have a day full of conservation learning activities, including a forest walk, beach walk, tree planting, species learning activity, mangrove float, and mangrove ecology talk. The children and teachers will enjoy lunch mid-day, and be returned home at the end of the day. Conservation talks will focus on the rare beachfront forest, the lemurs, and the mangroves and their importance to the economy of the village. Azafady will have a Lemur Board for the kids to play with. Azafady will have extended mornings activities with the Club Atsatsaky, their Saturday morning children’s Club. For the World Lemur Festival, the club will focus on the importance of lemurs in the maintaining the health of the forest and the potential income from the tourists who visit to see the lemurs. 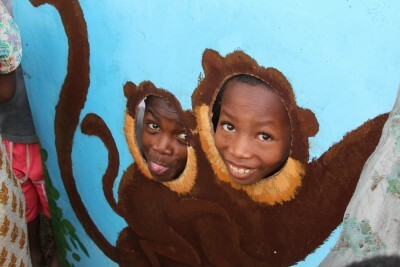 As well as the educational element, there will be games and plays around the role of lemurs in seed dispersal and face painting – so the kids can really get into being a lemur! Animation during the games (Gina from Antsohihy playing accordion). Photo courtesy of Mikajy Natioras Facebook page. 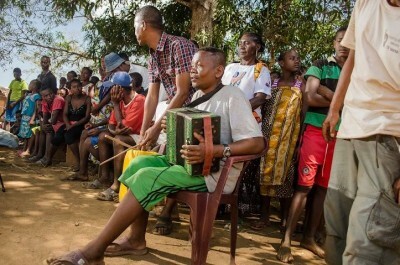 Mikajy Natiora held their annual lemur festival at the end of September, and it was a great success! Find more photos on their Facebook page. Find events in Nebraska, Washington DC, Florida, Utah, and North Carolina. Conservation Fusion will be giving a presentation on lemurs and Madagascar to the 6th, 7th and 8th graders at St Gerald’s school in Omaha, Nebraska. 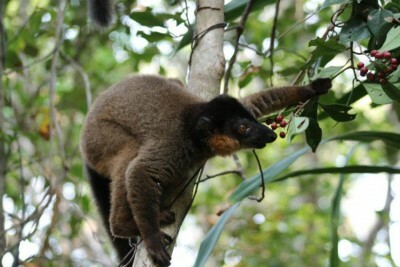 Afterwards, the students will create posters to decorate the school for World Lemur Week. Join the Lemur Conservation Network on Wednesday evening 10/28 at Right Proper Brewing Company to celebrate the World Lemur Festival! All funds raised benefit the Madagascar Biodiversity Partnership, which has discovered 23 lemur species since 1999, including the newest lemur, the Montagne d’Ambre dwarf lemur! 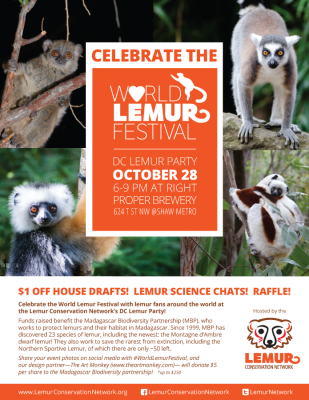 Meet and mingle with fellow lemur fans and conservationists at DC’s hottest brewery, and enjoy $1 off house drafts all night! The event is free to attend, but there is a $5 suggested donation to support the Madagascar Biodiversity Partnership‘s groundbreaking work protecting lemurs and their habitats in Madagascar. We have received awesome raffle prizes from the Smithsonian National Zoo, including one behind-the-scenes tour of the National Zoo to see their lemurs up close (donated by Friends of the National Zoo, FONZ), as well as lemur books and other items. Wear a lemur costume for 10 free raffle tickets; wear lemur-themed clothing for 3 free raffle tickets; wear both for 15 free raffle tickets! 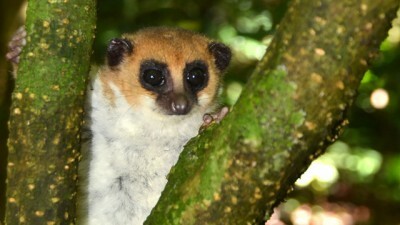 The newly discovered Montagne d’Ambre dwarf lemur! Photo courtesy of Madagascar Biodiversity Partnership and the Omaha Zoo. We will be holding “Lemur Chats” from 7 to 8:30 pm, where guests can talk to scientists to learn more about lemur science and conservation. Tweet Your Event Photos All Night with #WorldLemurFestival and The Art Monkey Donates $1 to MBP! Games, prizes, lemur cupcakes and more to celebrate the World Lemur Festival! Learn about Aye-Ayes at “Night of the Living Zoo” at the Sedgwick County Zoo in Wichita, Kansas! Head to the David Traylor Zoo for Boo in the Zoo on October 31. The event will include activities for the World Lemur Festival! Learn all about these amazing animals and how you can become a part of the conservation efforts dedicated to helping the most endangered group of mammals on Earth. Marvel at our lemurs at play here at the Zoo, and enjoy many fun activities including children’s games and crafts, keeper talks, enrichments, and a story time session that will be repeated throughout the day. 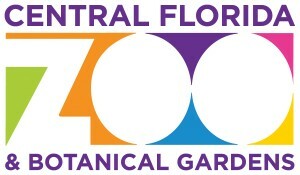 This event is included in general Zoo admission; additional fees may apply for certain activities. Please call 407.323.4450 ext. 100 for more information. The Anthropology Club will have a table in the main commons at NIU this Friday October 30th, and fundraising for Sadabe. Mitchell Irwin, co-founder of Sadabe, is a professor of Anthropology at NIU and will be helping with the table. Sadabe works for both lemur conservation and for the people of Madagascar that they share their land with, a very anthropological approach. Adam Pope, the student president of the Anthropology Club will be manning the fundraising table in a full lemur costume! Join lemur fans Christine & Evan for a lemur themed Halloween party to raise money for the Lemur Conservation Foundation. Christine volunteered at LCF and created a film. 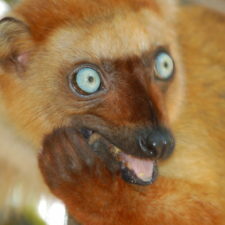 At the party, they will show the film, out-takes from the filming process (lemurs doing all sorts of silly things! ), wear lemur costumes, make lemur themed cockTAILS, and mockTAILS for our young friends, and make desserts that our primitive primate friends would prefer. Email southsea@kotekan.com for more information. 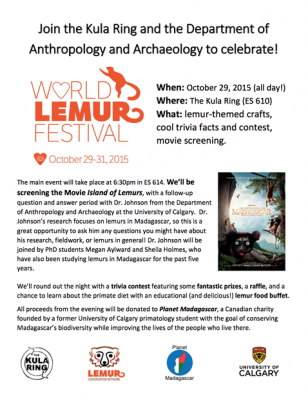 Celebrate the World Lemur Festival at the University of Calgary! Click on the image to view the flyer PDF. We would like to invite you to join with the Kula Ring and the Anthropology Department to celebrate the 2015 World Lemur Festival! On October 29, visit the Kula room (ES 610) throughout the day to de-stress with some lemur-themed crafts, or learn some cool trivia facts while chilling with other lemur-minded individuals. The main event will take place at 6:30pm in ES 614. We’ll be screening the Movie Island of Lemurs, with a follow‐up question and answer period with Dr. Johnson from the Department of Anthropology and Archaeology at the University of Calgary. Dr. Johnson’s research focuses on lemurs in Madagascar, so this is a great opportunity to ask him any questions you might have about his research, fieldwork, or lemurs in general! Dr. Johnson will be joined by PhD students Megan Aylward and Sheila Holmes, who have also been studying lemurs in Madagascar for the past five years. We’ll round out the night with a trivia contest featuring some fantastic prizes, a raffle, and a chance to learn about the primate diet with an educational (and delicious!) lemur food buffet. All proceeds from the evening will be donated to Planet Madagascar, a Canadian charity founded by a former University of Calgary primatology student with the goal of conserving Madagascar’s biodiversity while improving the lives of the people who live there. Find events in the United Kingdom, Germany, Switzerland, and Hungary. Head to the Erlebnis-Zoo in Hannover to celebrate the Lemur Day on 31st October! This event at Zoo Hannover is in coordination with the organization Madagascar Wildlife Conservation. 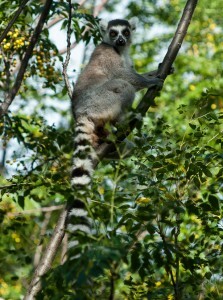 MWC will present the lemurs in their natural habitat and the work of the organization. The zoo will give information about our red-ruffed lemurs and ring-tailed lemurs in the zoo. Visitors can win a meet-and-greet (“rendezvous”) with our ring-tailed lemurs! Celebrate the World Lemur Festival at Howletts Wild Animal Park with Lemur Conservation Network blogger and volunteer lemurkeeper, Phil Reeks! Head to the lemur walkthrough at Howletts Wild Animal Park for fun lemur activities and fundraising to benefit the Aspinall Foundation’s Madagascar projects. In poor weather, the activities will be held in the education centre. 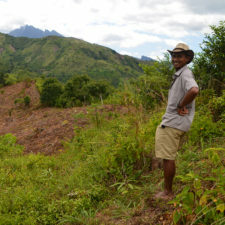 Phil has been to visit Aspinall’s project in Madagascar so he will give first hand information on their work. The Lemur Day at the Miskolc Zoo in Miskolc, Hungary will feature a variety of educational activities centered around the zoo’s species from Madagascar: a ring-tailed lemur family and two female white-fronted lemurs, as well as the Madagascar hissing cockroach, gold dust day gecko, and Madagascan collared iguana. Guests will learn about these species and how to help them, and can participate in a variety of fun activities for all ages. 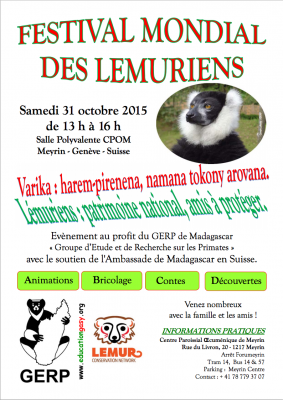 Join EducationGasy at Salle Polyvalente CPOM Meyrin – Genève – Suisse to celebrate the World Lemur Festival, in collaboration with GERP, and with the support of the Embassy of Madagascar in Switzerland. Travel agency Pioneer Madagascar and Borneo will be showcasing travel to Madagascar and spreading the word about the Lemur Conservation Network at the Family Travel Show in Olympia, London. One of the Taipei Zoo’s amazing social media graphics in celebration of the World Lemur Festival! From 10/27 to 10/31, the Taipei Zoo will post information on Facebook and Google Plus about Madagascar and Lemurs everyday. 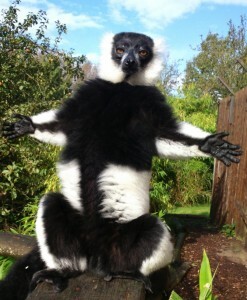 They will have a Lemur Keeper’s Talk on 10/31—World Lemur Day—at the Africa Area’s Lemur House. 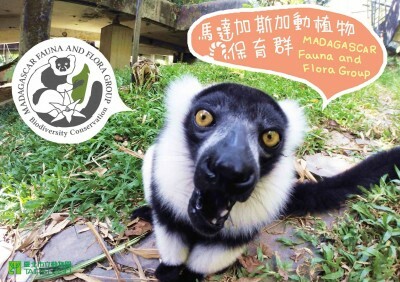 Taipei Zoo is one of Madagascar Fauna and Flora Group‘s managing members since 2014. Join the Sayama Chikozan Park Children’s Zoo for Halloween events highlighting the ring-tailed lemur for the World Lemur Festival, including a lemur keepers talk. Several organizations are holding online events and specials for the World Lemur Festival. 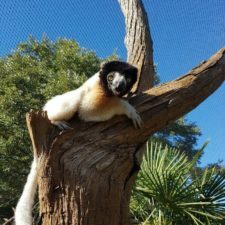 Stand for Lemurs with the Duke Lemur Center! Lemurs and humans are primates. Lemurs have ten fingers and ten toes. Humans have ten fingers and ten toes, too. The island of Madagascar may only have 10% of its natural vegetation remaining. On World Lemur Day, October 29, the Duke Lemur Center asking everyone to “Show us your Ten!” Post or Tweet a picture of those primate toes with the hashtag #StandforLemurs. Let everyone know you gave your $10 to promote lemur awareness, science and conservation! Show everyone you love lemurs! To celebrate the World Lemur Festival, the Lemur Conservation Foundation is releasing MadagaSCARS, a poignant five minute flash animation created by Camille Wainer that captures the urgent environmental and social issues that threaten the future of wildlife and humans on the island of Madagascar. Camille Wainer is an international artist, editorial illustrator, and independent filmmaker and a graduate of the Pratt Institute. The film is being presented at international and national animation festivals and was recently selected to be screened at the Dublin Animation Film Festival. The Lemur Conservation Foundation works with artists like Camille to produce pieces that inspire empathy and understanding and provide an emotional link between lemurs and humans, which is critical to conservation. Please join us in our celebration of the World Lemur Festival by sharing the challenges and hope for lemurs illustrated in the provoking animation, MadagaSCARS. To view MadagaSCARS, which will be featured from October 29th to December 1st, visit the Lemur Conservation Foundation’s website at www.lemurreserve.org. 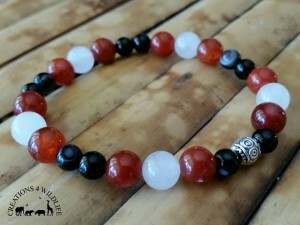 Extra $3 per lemur bracelet donated all month! Creations 4 Wildlife typically donates 40% of every “Madagascar’s Jewel” bracelet sold to the Duke Lemur Center, but all October to celebrate the World Lemur Festival, an extra $3 per lemur bracelet will go to the Duke Lemur Center! Send a picture of your Lemur Artwork to Lemur Love for their online exhibition on World Lemur Day! Lemur Love will be sharing the artwork of lemur fans on social media during World Lemur Day on October 30! Send your artwork to Lemur Love at info@lemurlove.org, and stay tuned to their Facebook and Twitter for the online exhibition of lemur fan art! To celebrate the World Lemur Festival, Sainte Luce is offering a super incentive to come volunteer with their lemurs next year. For every placement of more than 4 weeks for 2016—booked before the end of October 2015—they are subsidizing your place for an EXTRA WEEK FREE! So if you make a contribution to volunteer for 4 weeks, you can stay for 5 weeks! 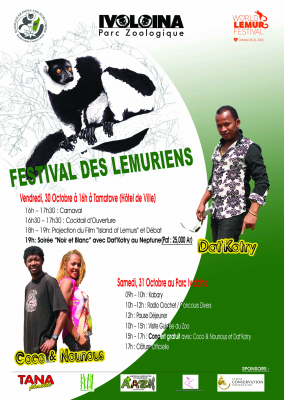 This offer is only open until the end of the World Lemur Festival (the end of October 2015). Share your photos and stories online using the hashtag #WorldLemurFestival! Share your love for lemurs using the hashtags #LemurFansUnited to #SaveLemurs!